As a minimalist trekker, one should always consider the environment and surface that you will be traveling on; before each trip. With all the minimalist shoes on the market today. How does one know whats right for them? Having a pair of footwear, that's even just 5 ounces, means one must lift and place down that weight over a 100,000+ times in a long day of trekking. 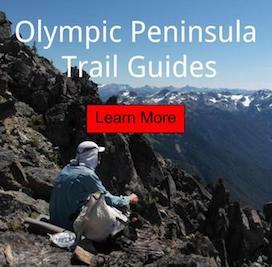 Especially hiking in the Olympic Mountains; encountering water in route is another important factor. No matter what kind of trail you're traveling. Your foot will get wet! You need to accept that right now. How Breathable is the Footwear? How does the Upper Material Purge Water while Walking? Does absorbed water into the Upper Material dry in a short period? How much does the Footwear weigh fully Saturated? Can you feel the Ground, Cold, Moisture and Heat? After addressing moisture and climate; look at what type of trail surface you will be traveling on. This is a very important detail that should be addressed; especially when trekking for long distances. The more you hit the trail, the more variations you will encounter over time. Sometimes even a little of everything in one trip. Will an unseen Sharp Rock Puncture my Sole? Will lots of Small Rocks be present in Route? Will there be Snow or Ice in Route? How much Weight will be in my Backpack? Urban Trail: Pavement, crushed imported small rock, compact surface, minimal lose dirt, logs put in for drainage, etc. Usually you may find this type of trail in a city, suburban areas or perhaps a short distance from your town. 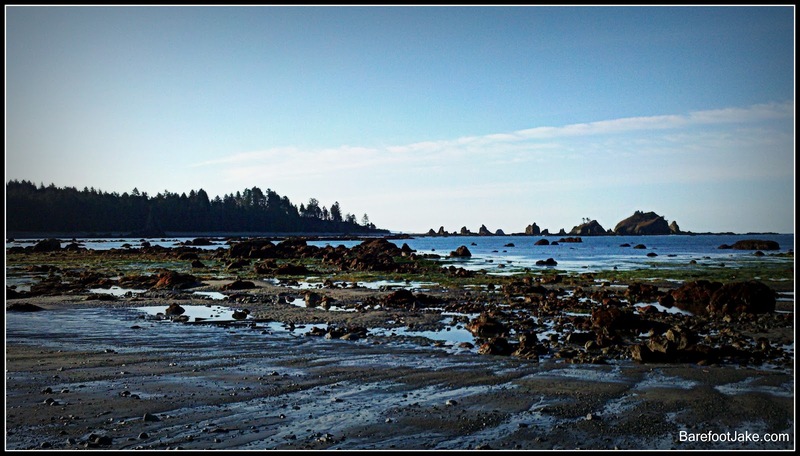 Summer Maintained Trail: Typically you encounter crushed imported small sock, small natural rock, compact surface, lose dirt, logs put in for drainage, pine needles, minimal mud, some exposed roots, larger rock and even a small creek to hop over. Spring & Autumn Maintained Trail: Things are a little more tricky these seasons. Wet or even icy surfaces may be encountered. Typically you encounter slick crushed imported small Rock, wet small natural rock, slimy compact surfaces, sticky lose dirt, very slick logs put in for drainage, pine needles, lots of mud, very slick exposed roots, larger rock, lots of creeks to hop and maybe a ford. Winter Maintained Trail: Some humans may choose to avoid this season. Wet, lots of standing water, slush, snow and mostly icy surfaces. Snow depth will vary by area and climate conditions. Typically you encounter frozen solid crushed imported small rock, frozen small natural rock, frozen compact surfaces, minimal dirt, frozen mud, icy logs put in for drainage, pine needles (frozen with dirt), icy exposed roots, larger rock, lots of creek crossings to hop and maybe ford. Snow is one of my favorite surfaces to travel on. Since it is the most consistent and easy to predict. You ether have powder, wet snow, slush or spring snowpack. The time of day and weather conditions also effect the firmness of this surface. Spring can also be hazardous traveling on snow because of snow bridges, tree wells and post-holeing. 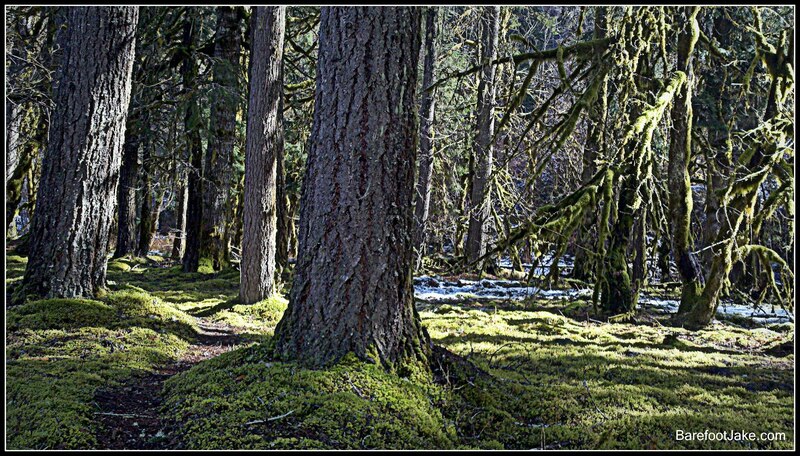 Wilderness Trail: Typically you encounter small natural rock, lose or compact surface, lose dirt, downed trees, pine needles, some moss, foliage, exposed roots, large rocks, creeks to hop and maybe a river to ford. These trails are often used and maintained by local wildlife that typically use it more than a human. Primitive Trail: Typically you encounter lots of lose small natural rock, lots of dirt, downed trees, pine needles, foliage, lots of exposed roots, numerous large rocks, creeks to walk through and rivers to ford. These trails were typically once maintained, but for what ever reasons have been abandoned. Local wildlife have taken it back over. Seeing human footprints are rare. 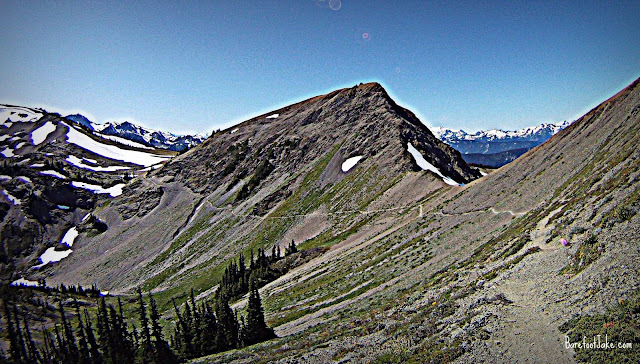 Maintained Alpine Trail: Typically you encounter small natural rock, dirt, dust, mud, exposed rock, erosion from snow melt, alpine foliage, collapsed burrow holes, lose large rock, lose scree, lose talus, lingering spring snowpack, lingering morning icy snow, streams to hop and maybe a down tree to climb over. Maintained Alpine Trails typically get some damage as the snow melts and pulls lose rock off the hillside. Later in the season this trail improves once trail crew or more boot traffic travel the surface. Alpine Traverses: Typically you encounter endless small natural rock, dust, dirt, mud, slippery foliage, exposed rock, erosion from snow melt, lose large rock, scree, talus, spring snowpack, morning icy snow, streams to hop, basins, marshes, alpine foliage, burrow holes and maybe a down tree to climb over. Alpine Travel is typically done by sticking to game trails or maybe even making your own route. Bushwhacking: Anything really goes here. Depending the area your traveling; is what you will encounter in route. A smart traveler will try to find a game trail and stay on that as much as possible. Animals typically know the best and easiest way to your destination. Often a topographical map and compass is reflected on when doing this form of travel. Coastal Trekking: Typically you encounter lose dry sand, various sharp objects in sand, compact wet sand, slimy large rock, slick exposed rock, bluffs, standing salt water, pools, in sand streams, mud, foliage, ocean life on rock, creeks to hop and maybe a river to ford. This environment is where it is most important to keep small objects off the surface of skin for distance trekking. Sand will tear skin easily over time, if not addressed; especially when wet. Now you are doing your trip planning with surface, climate and environmental hazards in mind. 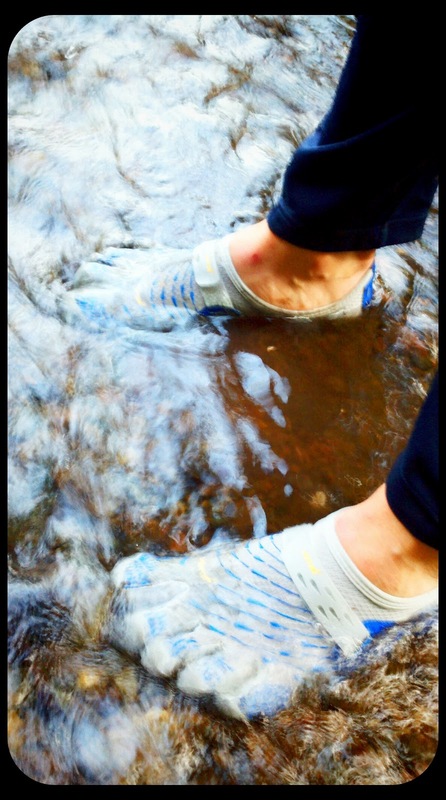 Barefoot is always the best, but many of the surfaces may require a bit more protection. This is a touchy subject in the minimalist world. I would personally suggest you never do whats out of your comfort level, but always keep weight and breath-ability in mind. It is my personal belief the more material that covers your skin; the less connection you have to your environment. Are you fully experiencing the wilderness? Keep that in mind when choosing the Footwear for your next Adventure. I have found that thin merino wool socks work well to protect the skin.